What tests diagnose peripheral neuropathy? What is the treatment for peripheral neuropathy and its symptoms? Can peripheral neuropathy be cured? Peripheral neuropathy is a condition in which the nerves in the peripheral nervous system become damaged. Peripheral neuropathy symptoms and signs depend upon the cause. Usually, the disorder affects the nerves that provide sensation, which causes pain, tingling, and burning symptoms of the nerves affected. Usually, peripheral neuropathy occurs in the feet and hands. Many other diseases and conditions can cause peripheral neuropathy, for example, drugs, diabetes, shingles, kidney failure, and vitamin deficiency. Peripheral neuropathy is diagnosed by exams, diagnostic and blood tests, and occasionally, skin biopsies. The treatment for peripheral neuropathy depends on the cause; however, the prognosis for many of the diseases and other medical problems that cause peripheral neuropathy can be successfully treated or prevented. Peripheral neuropathy is disorder of nerve(s) apart from the brain and spinal cord. Patients with peripheral neuropathy may have tingling, numbness, unusual sensations, weakness, or burning pain in the affected area. Oftentimes, the symptoms are symmetrical and involve both hands and feet. Because the symptoms are often present in the areas covered by gloves or stockings, peripheral neuropathy is often described as having a "glove and stocking" distribution of symptoms. Peripheral neuropathy can involve different nerve types, including motor, sensory, and autonomic nerves. Peripheral neuropathy can also be categorized by the size of the nerve fibers involved, large, or small. Neuropathy can present with many differing symptoms, including numbness, pain of different types, weakness, or loss of balance, depending on the type of nerve involved. Because the autonomic nerves control bodily functions that we do not consciously think of, such as heart rate, digestion, and emptying of the bowel and bladder, autonomic neuropathy manifests with symptoms affecting the loss of control of these functions. Symptoms may include problems with blood pressure, voiding, passage of stools (diarrhea, or constipation), heart rate, or sweating. Cranial neuropathy is similar to peripheral neuropathy, except that the cranial nerves are involved. Any of the cranial nerves can be involved. One of the more common causes of cranial neuropathy is loss of blood flow from the optic artery to the optic nerve, causing ischemic optic neuropathy. Amyloidosis is one of the more common causes of this rare disorder. Specific nerves can be involved in neuropathy. When a specific nerve is involved, the symptoms are limited to the distribution of that nerve. The most commonly involved peripheral nerve is the median nerve at the wrist in carpal tunnel syndrome. Essentially any peripheral nerve can become entrapped and cause the signs and symptoms of neuropathy. The ulnar nerve is commonly entrapped at the elbow. The peroneal nerve is exposed at the outer part of the knee. The pudendal nerve can cause pain in the perineum and is relieved by sitting on a toilet seat or an inflatable donut. Entrapment of the lateral femoral cutaneous nerve at the waist, called meralgia paresthetica, causes numbness at the outer part of the thigh. Some medications, including certain cancer chemotherapy drugs, can cause peripheral neuropathy. Rarely, diseases such as neurofibromatosis can lead to peripheral neuropathy. Other rare congenital neuropathies include Fabry disease, Tangier disease, hereditary sensory autonomic neuropathy, and hereditary amyloidosis. Statin medications have been linked to peripheral neuropathy, although neuropathy caused by statins only rarely causes symptoms. While diabetes and postherpetic neuralgia are the most common causes of peripheral neuropathy, often times no cause is found. In these situations, it is referred to as idiopathic peripheral neuropathy. Sometimes, peripheral nerve entrapments, such as carpal tunnel syndrome, are considered peripheral neuropathies. In these cases, pressure on the nerve rather than a disease state leads to nerve malfunction. The symptoms of peripheral neuropathy somewhat depend on the cause. Usually, peripheral neuropathy affects the nerves of sensation. As a result, people with peripheral neuropathy develop pain, burning, or tingling in the distribution of the affected nerves. Most commonly, this is in the feet and/or hands. This can cause tingling, numbness, and/or burning in the toes or fingers. When shingles causes peripheral neuropathy, the particular nerve affected causes a localized burning and itching sensation, for example, in the side of the chest, the face, the buttock, etc. Because peripheral neuropathy has so many causes and so many presentations, the first step to diagnosis is performing a thorough medical history and physical examination. Certain tests done during the physical exam, including vibration and monofilament testing, are very accurate in diagnosing certain types of peripheral neuropathy, such as large fiber peripheral neuropathy seen with diabetes. Blood tests for exposure to toxins and electrodiagnostic studies, such as nerve conduction studies (NCS) and electromyelography (EMG) are also very useful, although these tests will not help with the diagnosis of small fiber neuropathy. Either skin biopsies or quantitative sudomotor axon reflex testing (QSART) are occasionally used to help diagnose small fiber neuropathy. The treatment for peripheral neuropathy depends on its cause. The first step in treatment is, therefore, to look for the cause. Vitamin deficiencies can be corrected. Diabetes can be controlled, although control may not reverse the neuropathy. The goal with diabetes is early detection and adequate treatment to prevent the occurrence of neuropathy. Neuropathies that are associated with immune diseases can improve with treatment of the autoimmune disease. Neuropathy caused by nerve entrapment can be treated by physical therapy, injections, or surgery. Prompt treatment with sympathetic injections can minimize the chance of shingles progressing to postherpetic neuralgia. If a specific treatment isn't available, the pain of the neuropathy can usually be controlled with medications. The simplest treatment is over-the-counter (OTC) medications, such as acetaminophen, ibuprofen, or aspirin. Tricyclic antidepressants such as amitriptyline (Elavil) or nortriptyline (Pamelor) and antiseizure medications, such as carbamazepine (Tegretol) have been used to relieve the pain of neuropathy. Capsaicin, the chemical responsible for chili peppers being hot, is available over-the-counter as a cream to help relieve the pain of a peripheral neuropathy. A prescription patch of 8% capsaicin (Qutenza) is approved for the treatment of postherpetic neuralgia. Pregabalin (Lyrica) is a medication that is used for the treatment of postherpetic neuralgia and diabetic peripheral neuropathy, while duloxetine (Cymbalta) has been approved for use in the treatment of diabetic peripheral neuropathy. In some instances, opioids can be used to help control the pain that can be associated with peripheral neuropathy. Both Vitamin B6 and alpha-lipoic acid have been used for relief in chemotherapy-induced peripheral neuropathy. There is ongoing research into treatments for peripheral neuropathy, ranging from evaluating the effectiveness of topical gels to bone marrow treatments. As this research progresses, new therapies will become available. A person who believes that he or she has peripheral neuropathy should contact their healthcare professional since many causes of peripheral neuropathy can be successfully treated. Certain forms of peripheral neuropathy can be prevented. For example, avoiding alcohol toxicity, getting shingles vaccinations, avoiding heavy metal toxicity, and aggressively treating diabetes are all measures that can help prevent the development of peripheral neuropathy resulting from these causes. Rutkove, SB, MD. Overview of polyneuropathy. UpToDate. Reveiwed Mar 2018. Learn more about diabetes related foot problems. Diabetes can cause serious foot complications such as nerve damage, infection, and ulcers. 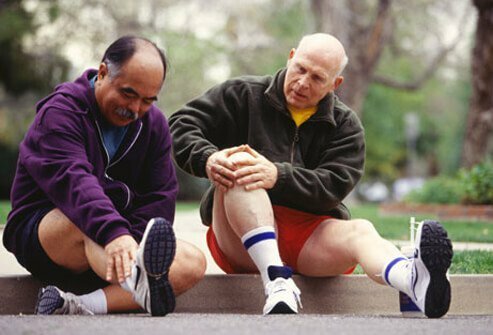 Find tips for proper foot care to help prevent diabetes foot complications. Please describe your experience with peripheral neuropathy. What were the symptoms of your peripheral neuropathy? Please share your experience with peripheral neuropathy. It may help others with the condition. What caused your peripheral neuropathy? What home remedies or medications have helped with pain and treatment? Acute systemic lupus erythematosus. See a picture of Acute Systemic Lupus and learn more about the health topic. compression injuries such as carpal tunnel syndrome and compression neuropathy. A nerve conduction velocity test is often done at the same time as an electromyogram (EMG).